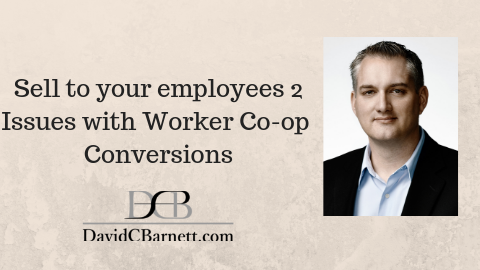 Did you see the video I did two weeks ago talking about worker co-ops? That video prompted Jasmin to reach out to me to share her experience working with a community development lender whose aim is to finance the creation of worker co-ops. Jasmin’s background is in finance. She wanted to make sure the buyers in these deals, the workers, got into a good deal that made sense. Jasmin shared some of her time with me to explain what problems and issues kept coming up when she went in to do analysis and due-diligence. Watch as we discuss some of the deals and her experiences with the sellers and brokers trying to transfer small businesses into worker co-ops. I also share a little of my experience in doing successful transfers to employees as traditional buyers. Get an Audible subscription and listen to my book How to Sell My Own Business: A Guide to selling your own business without paying a broker’s commission for FREE.